la meglio gioventù and the "angels of the mud"
"The best of youth" is one of the best italian movies of these latest 10 years. Through the story of the Carati family, expecially of the two brothers Nicola and Matteo, you will be told about the latest decades of the Italian history. One of the most touching moments in the movie is the two brothers meeting in Florence, in front of the Uffizi gallery. It was just after the river Arno flood, on the 4th November 1966. Matteo is in Florence with the Italian Army while Nicola is with many other students, helping to save Florence form the mud. These people were baptised as "Angels of Mud". When the Uffizi Gallery meets the British Museum to give birth to a unique fantastic temporary exhibition with 100 drawings from Beato Angelico to Leonardo. 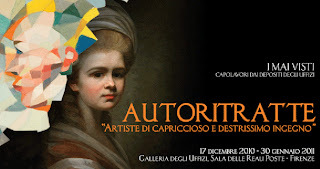 At the Uffizi Gallery in Florence from 8th March to 11th June 2011. Cuando la Galeria de los Uficios encuentra el British Museum para dar vida a una fantastica exibiciòn temporanea con 100 dibujos desde el Beato Angelico a Leonardo. A la Galeria de los Uficios en Florencia del 8 de Marzo al 11 de Junio 2011. Quand la Galerie des Ofices rencontre le British Museum pour creer une fantastique exposition temporaire avec 100 dessins a partir du Beate Angelique à Leonardo. A la Galerie des Ofices en Florence du 8 Mars au 11 Juin 2011. Dancing is your world??? Do you move yourself as you hear a note? 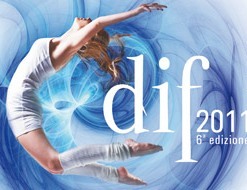 Come to Florence for "Danzainfiera", the 4 days event dedicated to the dance world! Let's dance! El baile es tu mundo? Te mueves apenas escuchas una nota? Puedes venir a Florencia por "Danzainfiera", el evento de cuatro dias dedicado al mundo del baile! Bailamos! La danse est ton monde? Tu danse quand tu sent une note? Alors tu dois venir a Florence por "Danzainfiera", l'evenement de quatre jours dediè au monde de la danse! On danse! In Florence, just beyond the Old Bridge, close to Pitti Palace there is the Oltrarno district (Oltrearno=beyond the Arno) with its arts, crafts, fashion little shops and ateliers, local food restaurants etc etc. On the 29th January you can taste it at the event "Lungoungiorno". En Florencia, mas allà Puente Viejo, muy cerca del Palacio Pitti, hay el barrio de Oltrarno (mas allà del Arno) con sus tiendas y talleres artesanales, de moda y sus restaurantes de cocina tipica etc etc. El dia 29 de Enero puedes "probar" todo esto al evento "Lungoungiorno". En Florence, au-delà du Pont Vieux, proche au Palace Pitti, il ya le quartier de Oltrarno (au-delà de l'Arno) avec ses ateliers et magasins artisanals, de mode et ses restaurants de cuisine locale etc etc. Le jour 29 Janvier on peut "gouter" tout ça à l'event "Lungoungiorno"
Every year, Regione Toscana takes 500 students on a trip to Auschwitz, on the Holocaust Memorial Day, to show them what happened, talk with the survivors....in the blog the impressions of students...never more! Cada año, la Regione Toscana organiza un viaje por Auschwitz para 500 estudiantes, en ocasiòn del dia de la Memoria, para enseñar a los chicos lo que pasò, hablar con los testigos sobrevivientes...en el blog las impresiones de los estudiantes...nunca mas! Florence is one of the fashion capital cities in Italy. Names as Ferragamo, Gucci, Cavalli and many, many others are known all over the world. But this tradition begins from the artisan ateliers, a long and historical one that still lives, shows its creativeness. So "I mestieri della moda" (fashion jobs) is a trip into this world made of patience, caring and imagination. Florencia es una de las capitales de la moda en Italia, Nombres como Ferragamo, Gucci, Cavalli y muchos otros son conocidos en todo el mundo. Pero esta tradiciòn empieza con los talleres artesanales, una historica y larga tradicion que sigue viviendo, con toda su creatividad. Asi el proyecto "I mestieri della moda"(los trabajos de la moda) es un viaje dentro de un mundo hecho de paciencia, imaginacion y cura. Baustelle is one of the most important indie band coming form Montepulciano (Siena). Their name comes from the German Baustelle "work in progress", and their particular touch is created by mixing Italian, English and French. Their songs have a lots of recalls to their territory and "Le rane" (the frogs), one of my favourite, reminds of a childhood in the early eighties in Tuscany. Baustelle es uno de los grupos mas importantes de la escena "independiente" italiana y viene de Moltepulciano (Siena). Su nombre llega del aleman "Baustelle" "trabajos en curso". Su "sound" particular es creado mezclando referencias pop italianas, inglesas y francesas. Sus canciones tienen muchas referencias al ambiente toscano y una des mis preferidad "Le rane" (las ranas), se referien a una enfancia vivida en los primeros 80 en Toscana. Baustelle est un des groups plus connus de la escene musicale indie italienne et vient de Montepulciano (Siena). Son nom vient du alemande "Baustelle" "travaux en cours". Son particulier sound est crèe en melangant references pop italiennes, anglaises et françaises. Ses chansons ont beaucoup des references à l'environment toscane et une de mes preferèes est "Le rane" (les grenouilles) qui parle d'une ete de premiers annèes 80 et des souvenirs d'enfance. do nothing for 2 minutes! Un moment de total relax! Every year, the Uffizi Gallery in Florence organizes an exhibition called "I mai visti" (the never seen), dedicated to a different subject. 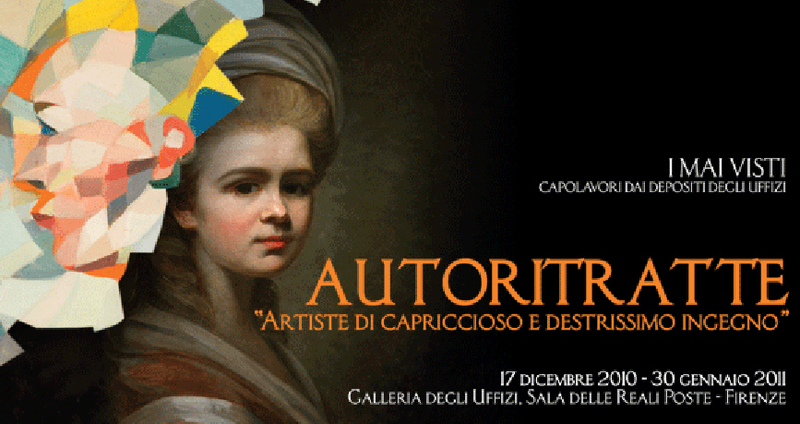 This year 80 women artist selfportraits are shown at "sala delle poste reali" to show how women painters have developped their own way of expressing. Until the 30th January 2011. Comment chaque annèe la gallerie des Uffizi organise une exposition appellèe "I mai visti" (les jamais vus), dedièe a differents subjects. Cette annèe, 80 autoportraits de femmes artistes sont exposès à la "sala delle poste reali" pour voir comment les femmes ont develloppè leur façon de s'exprimer. Jusqu'au le 30 Janvier 2011.